Housing and Urban Development Secretary Ben Carson in September. A former HUD employee says she was demoted after refusing to comply with a request from the acting agency head that she "find money" to bankroll costly remodeling for Carson's office. In a four-and-a-half page letter, Rep. Trey Gowdy, R-S.C., said he wants the documents in order for the committee to "determine whether HUD adhered to the applicable spending limitations" that apply to office makeovers. Gowdy is also requesting documentation involving the HUD employee who claims she was the subject of retaliation after refusing to exceed spending caps set for office redecorating. He set a deadline of March 14 for the documents to be handed over to the committee. Gowdy's letter to Carson comes a day after reports surfaced that the agency approved more than $31,000 on a new office suite dining room set. Additional allegations were brought by a former HUD official claiming she was told by her superiors that "$5,000 will not even buy a decent chair." According to the New York Times, a "custom hardwood table, chairs and hutch" were purchased a month after a whistleblower complaint was filed alleging Candy Carson, the wife and informal adviser to the HUD secretary, was pushing for elaborate modifications to the drab decor of the department's offices. The whistleblower, Helen Foster, was a career HUD employee. She filed a complaint in November alleging she was demoted and replaced after refusing to exceed the legal $5,000 limit on redecoration. The existence of the complaint was first reported Tuesday by The Guardian. Carson tweeted Wednesday evening that he had done nothing wrong. 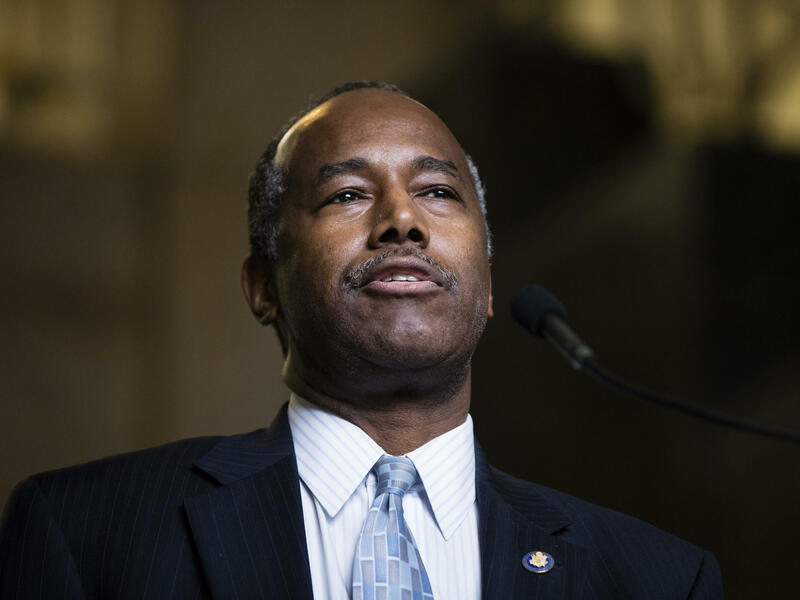 In a statement, HUD spokesperson Raffi Williams denied Foster's allegations of lavish spending, adding that while Carson did have different chairs in his office they were not new purchases, but rather ones that came from HUD's basement. "Secretary Carson, to the best of our knowledge, is the only secretary to go to the subbasement at his agency to select the furniture for his office. All the furniture in his office was purchased by the government prior to his arrival," Williams said. According to the Guardian, Foster was first urged by then-acting HUD Director Craig Clemmensen in January last year to help Carson's wife get the funding to redecorate Carson's office. In an interview with CNN Tuesday, Foster said she was pressured and retaliated against for not finding more money. She was also told that past administrations always found the funding. "I had a bucket in my car because I would throw up on the way to work and on the way home from work every day, just out of anxiety," Foster said. In an interview with NPR, Foster's Washington-based lawyer, Joe Kaplan, of the firm Passman & Kaplan, said the pressure by HUD officials persisted "for several weeks, certainly into February" of last year. According to Kaplan, when Foster told Clemmensen that she could not get around the statutory cap of $5,000 for redecorating, Clemmensen told her that amount could not even purchase a decent chair. "I've sat in a lot of chairs that have cost less than $5,000, let me tell you," Kaplan said. Kaplan said his client is seeking compensatory damages and re-instatment as HUD's chief administrative officer. He adds that "a public apology by HUD would go a long way in restoring Helen's reputation." HUD officials provided receipts that showed HUD spent $3,373 on window treatments, including wooden blinds, and an additional $1,100 on furniture repairs. In a separate receipt, dated Dec. 21, an item labeled "Secretary's Furniture Procurement" for the amount of $31,561 was made to the Baltimore-based contractor Sebree and Associates LLC. Officials at HUD said the secretary did not purchase the dining room set. They said it was bought by "career staffers in charge of the building." The old table and chairs from the mid-1960s were "deemed unrepairable." NPR has not confirmed who gave the OK for that purchase and has sought clarity from HUD about why the purchase of the new table did not fall under the $5,000 new-decor cap. The agency has been embroiled in other controversies in recent weeks. The Trump administration is proposing more than $8 billion in cuts to HUD's budget, or more than 14 percent from current levels. Carson is also facing allegations that he may have violated ethics rules by allowing his son, Baltimore businessman Ben Carson Jr., to organize "listening tours" for his father in that city last summer. The secretary has called on HUD's inspector general to review whether there were any violations. Kaplan, the lawyer for Foster, said the Office of Special Counsel could determine whether it will move forward and investigate Foster's complaint as early as next week. The special counsel is separate from the Justice Department counsel investigating contacts between Russian officials and the Trump presidential campaign.